Another fair warning: This post is very photo-heavy. Probably more so than Monday's post. An after dinner stroll along Lake Wakatipu. Full outfit post (and my love confession for these sneakers) can be found here. 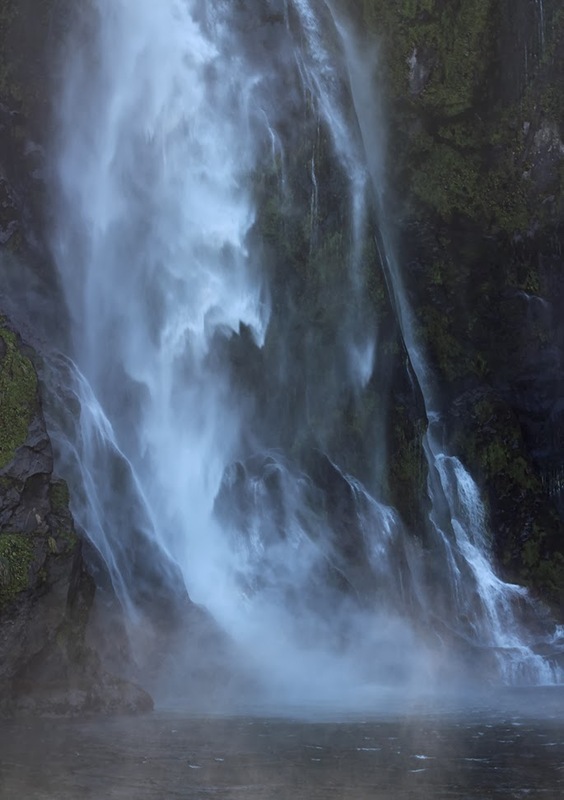 Everywhere we turned, a new waterfall seemed to spring up. This (not so little) guy tried breaking into our car, I kid you not, looking for food. Unfortunately (or perhaps fortunately), he struck out with us so he made his way to the car behind us. See what I mean? Unreal. 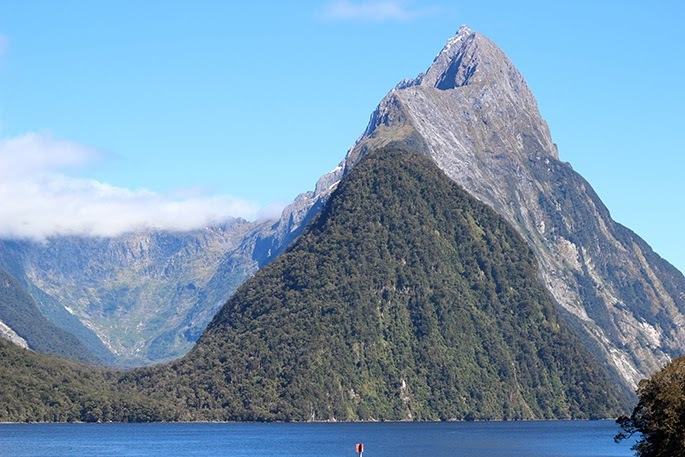 An afternoon cruise out exploring Milford Sound. A lazy kayak day down the Dart River, near Lake Wakatipu. 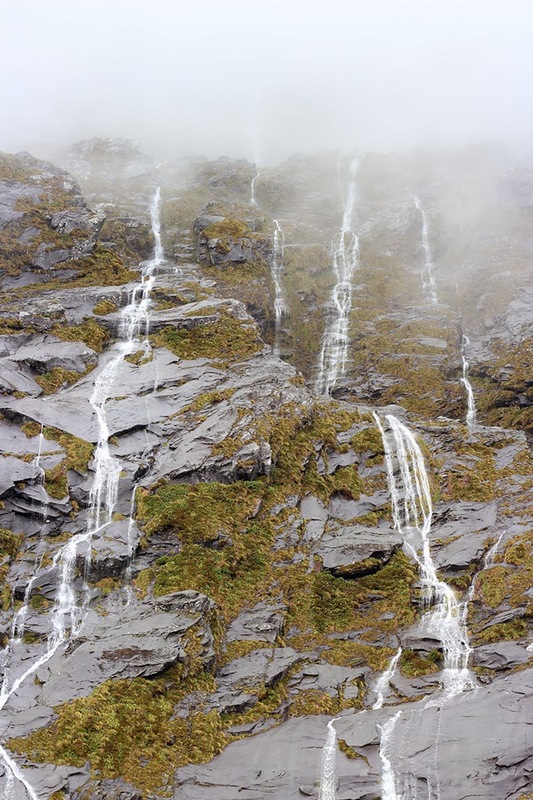 Since we wanted to spend most of our time in this area, we pretty much set up camp in Queenstown and rented a car to head to nearby excursions when necessary. Our first day was pretty low key -- we wandered around the city center and along Lake Wakatipu after dinner. 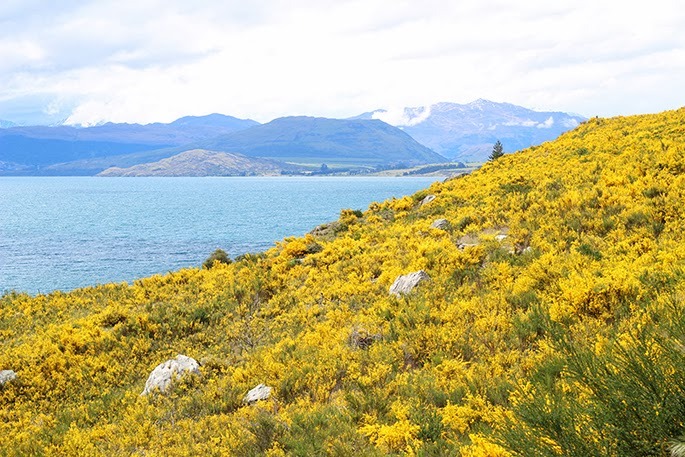 Queenstown is a cozy mountain retreat, which was a welcomed change to just unplug a bit and enjoy the views around us. For our first full day, we headed out to the Dart River, which feeds into Lake Wakatipu, for a jetboat ride and a leisurely kayak back to town. The weather turned a bit on us at this point and rained, but we didn't seem to mind as the scenery was just so breathtaking. A lot of the neighboring mountains here may look familiar as they've made their claim to fame in Lord of the Rings (hello Isengard -- yes, I'm nerding out again). I especially loved our kayak ride back, where we took a quick detour to explore some tucked away channels and chasms. Plus, it was pretty adorable how Dan insisted on paddling for the two of us (which I let him do a few times). Next up? We went wine tasting, but not on purpose actually. 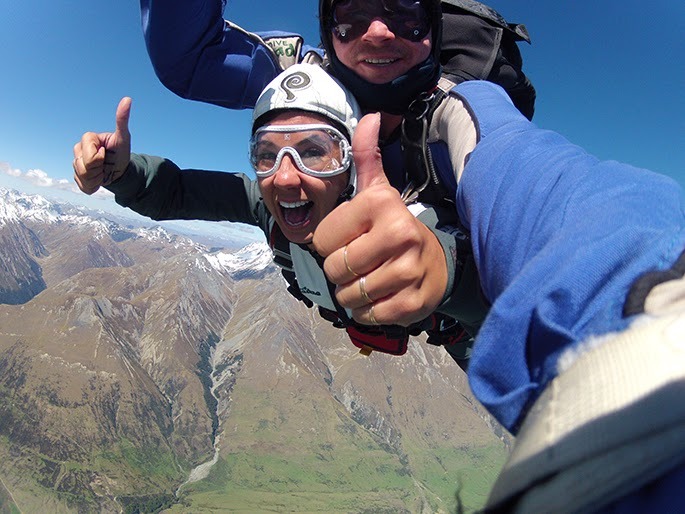 Originally, we had intended to go skydiving our second day in Queenstown, but the winds weren't cooperating so all jumps had been canceled. Luckily, Queenstown is certainly not lacking in their nearby vineyards (New Zealand Pinot Noirs are hard to beat!) so we jumped in the car and headed to the hills. 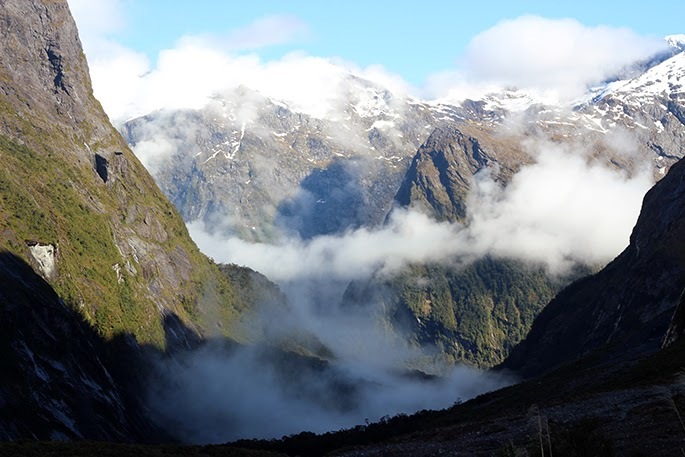 A few favorites of mine included Gibbston Valley, Amisfield and Waitiri Creek. 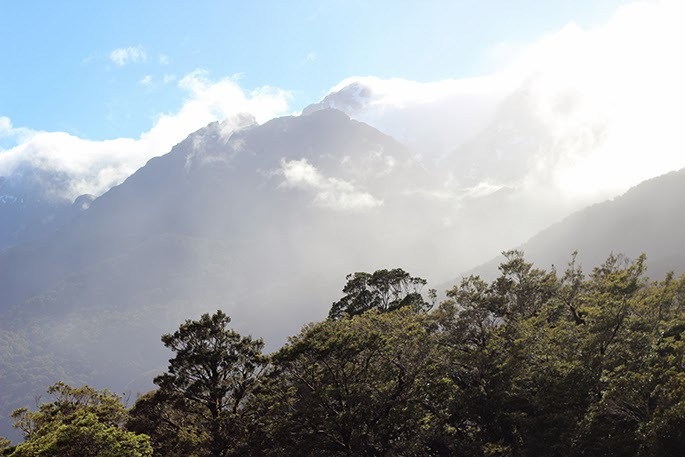 After wine tasting, we headed west for Milford Sound (about a three hour drive from Queenstown). This part of our trip was definitely a highlight for us. While you could certainly sign up for a tour bus to take you out there, I highly recommend you drive out there yourself so you can sight see along the way. We headed out for a lake cruise on the Sound (which was incredible given than it had just rained and had created a ton of temporary waterfalls) but it was actually the drive back that stole our hearts. 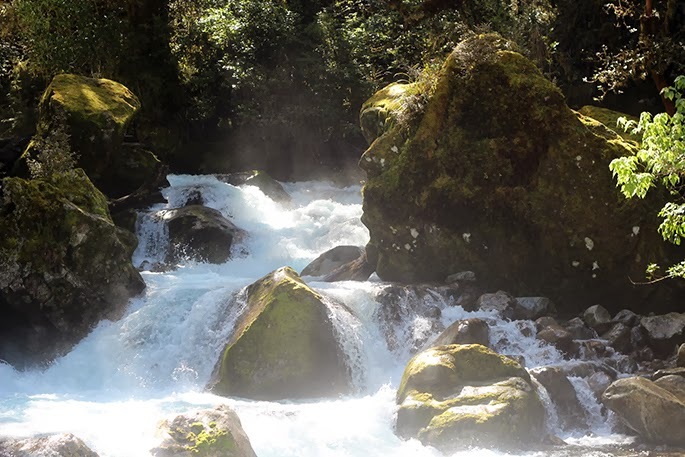 So many little different day hikes to explore with forgotten coves, cascading rivers and glacier runoffs. It was fun to just disappear for the afternoon, with no wifi or cell reception and feel lost. Our final day, was the BIG day. 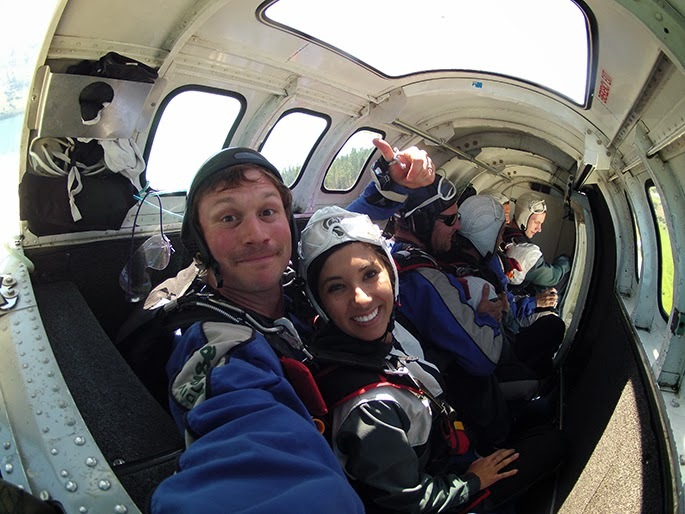 The day I voluntarily jumped out of a plane. Despite letting my nerves get the best of me the night before (I hardly slept! ), I'm really glad I did this. And you know what guys, I HATE heights. HATE THEM. The funny thing about being up at 12,000 feet is that it doesn't quite feel like a real, tangible distance to fall. Of course, the initial jump out of the plane made me think otherwise for a split second (not to mention my stomach dropped a million times over) but eventually, your body adjusts to the point that it just feels weightless. And before you know it, BOOM, the parachute opens and you can just enjoy the view floating back down! I absolutely loved the crew over at Paradise Skydive -- all extremely professional, patient and my tandem partner didn't give me a hard time for all my screaming. 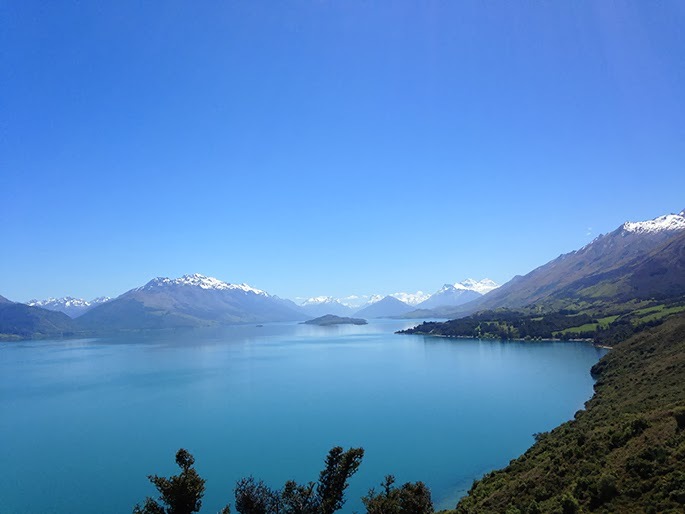 :) Plus, that view over Lake Wakatipu is hard to beat. We stayed at the Crowne Plaza Hotel, which is located right on the lakefront. Our balcony alone offered the best little spot to enjoy a bottle of wine and a quiet view over the water. Too many to keep track of! Fergburger: This came highly recommended by pretty much everyone in town. And man, that line wasn't for nothing! Lots of niche meats to choose from, including lamb, venison and an array of fish burgers. Their salmon -- hands down. So good. It's easy to skip and ignore the diet while on vacation (after all, that's part of the point, right?) and we certainly were guilty of this. What I loved about Vudu Cafe though was their assortment of fresh juices, especially their Green Goddess. I had this the morning of our skydive and felt refreshed, despite the awful nerves! And on a side note, hope to see some you San Francisco folks at my event tonight at Elizabeth Charles on Fillmore street! Party starts at 6 -- discounts are up to 40% off nearly everything in store! Full details can be found here. It looks like slice of paradise !! Wow what an amazing location!!! The photos are so stunning. Gorgeous pictures! That bird! Oh my too funny! Wow...the pictures are amazing....thank you for sharing. your sense of adventure is beautifully evident both in your landscape images, your "activity" images, and certainly in your wardrobe images. what a beautiful representation of your trip! You are really adventurous! I am scared of heights so not sure I could do that free falling stuff. Oh my gosh! Gorgeous pictures! And you're so adventurous! I would be scared to sky dive. I have always wanted to go to New Zealand. You certainly are adventurous. Very very lovely pictures. 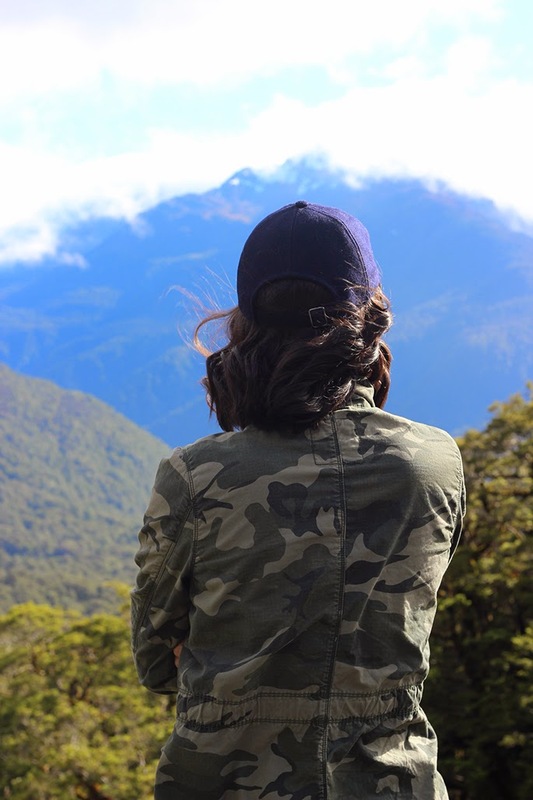 I am so insanely jealous of you - I've always wanted to go to new zealand. my cousin married a new zealander and I was HOPING that they would have their wedding there (that wish didn't come true). Your photos are incredible. such a blast! Krystal, the cheeky bird is a Kea (pronounced 'key-uh'). 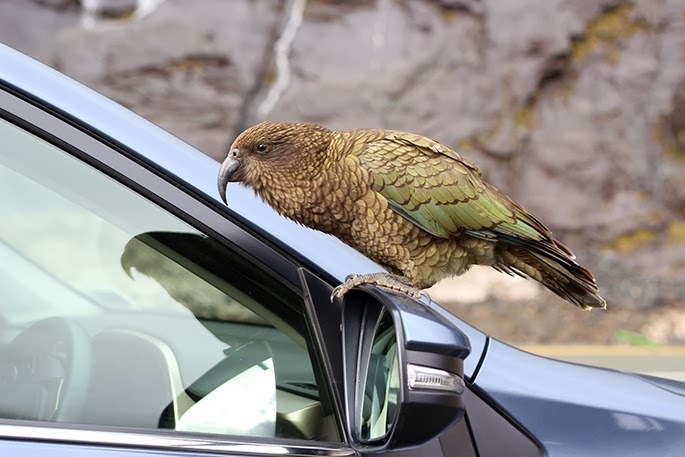 A native NZ parrot. They do this all the time to tourists to my wee country... pick things off cars, steal shiny objects from picnic hampers - you name it! They have no shame! These shots are AMAZING. So wonderful -- makes me want to grab the passport and go tonight. What camera and lens did you use for the landscape shots in this and the last post? Seriously -- stunning! This looks like a lot of fun! Bungee jumping??????? Oh WOW! Krystal, You are totally living the dream in this vacation. ;). Amazing adventures and pictures. Thanks for sharing your pictures.